Days of Our Lives Spoilers Preview: A Very Salem Valentine's Day! Days of Our Lives Spoilers Preview: A Very Salem Valentine’s Day! 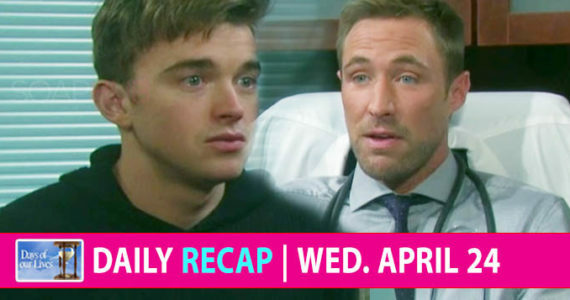 Days of our Lives spoilers reveal a Valentine’s week to remember as your favorite Salem pairs make up, break up, and defeat all odds in their quest to be together. John and Marlena make sure to make time for one another, Will and Sonny get a little help, and Charlotte’s kidnapping brings Chad and Abigail closer together. See it all for yourself in the video preview above.